Library Orientation is a Kahoot! Mrs. Myers shared a teched out library orientation with Mrs. Monosso’s Freshman Academy Social Studies class. Students got our of their seats working in groups to complete a library scavenger hunt. Student learning was assessed using a Kahoot online quiz tool in which students competed to “win” with the most correct answers. 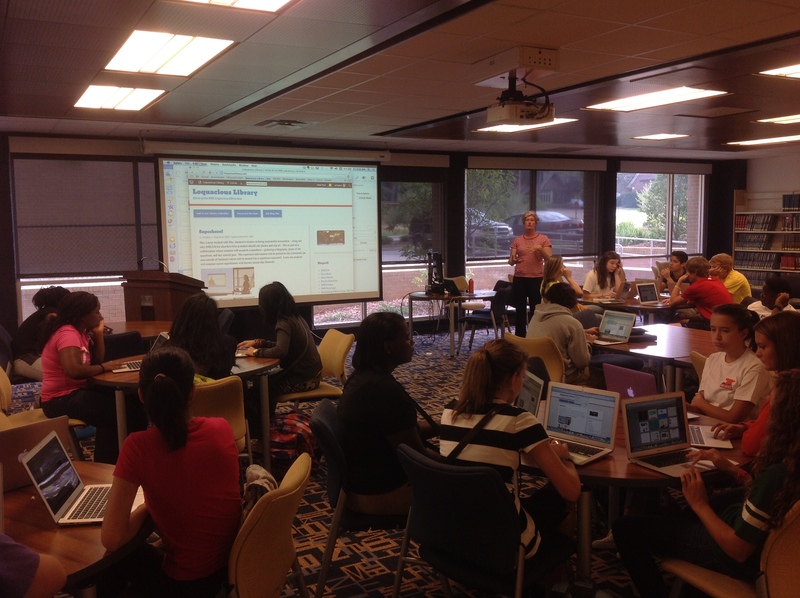 Students said that the orientation was “fun” and were engaged in these active learning opportunities.